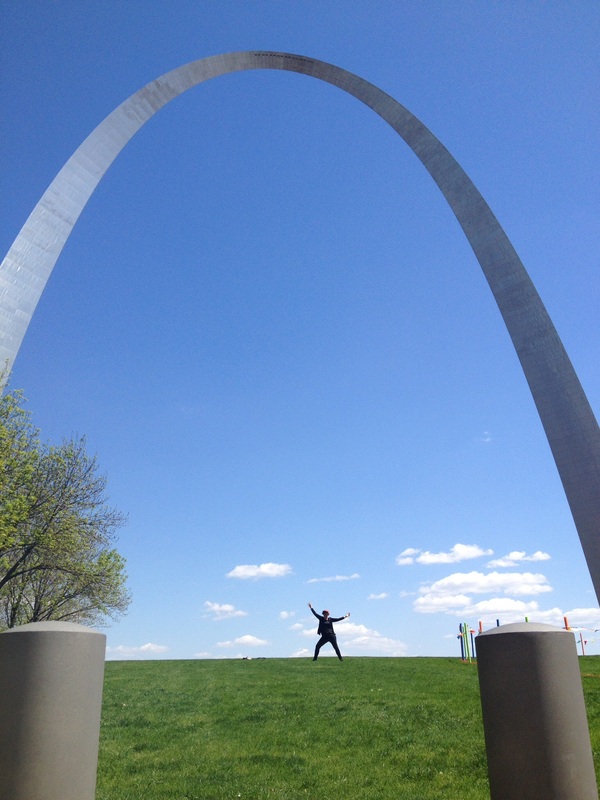 Bike Tour Magic and the Gateway to the East! 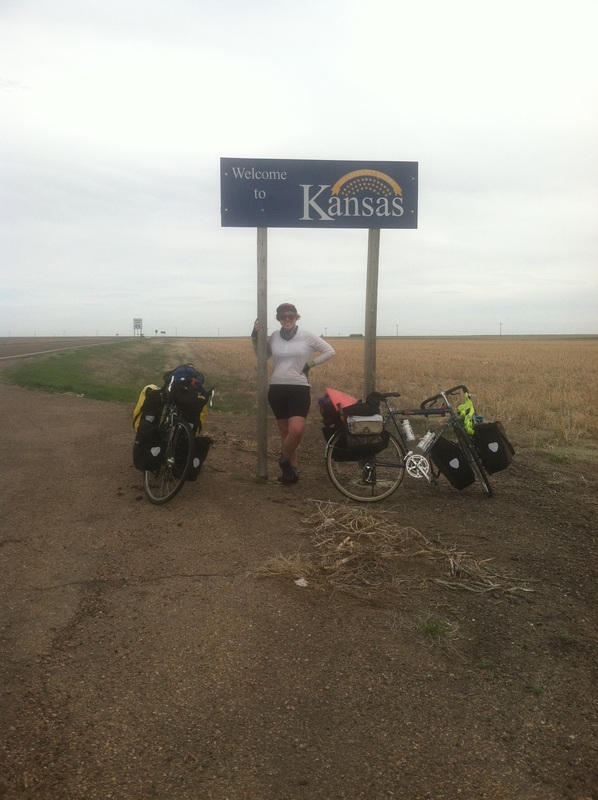 In the past few weeks Ruby and Sarah have been pedaling hard to the east. 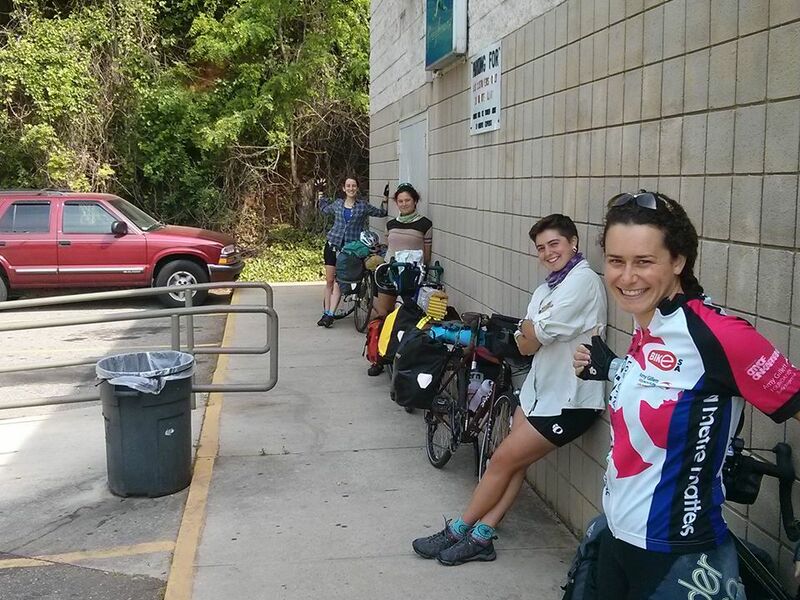 We are happy to be in Virginia, and looking forward to meeting up with our other Sustainable Cycles crew members in Richmond! After the workshop we continued along the Missouri River to St. Louis, spotting everything from eagles to deer to turtles. The scenery was breathtaking, and the riding conditions were easy and enjoyable. At last! 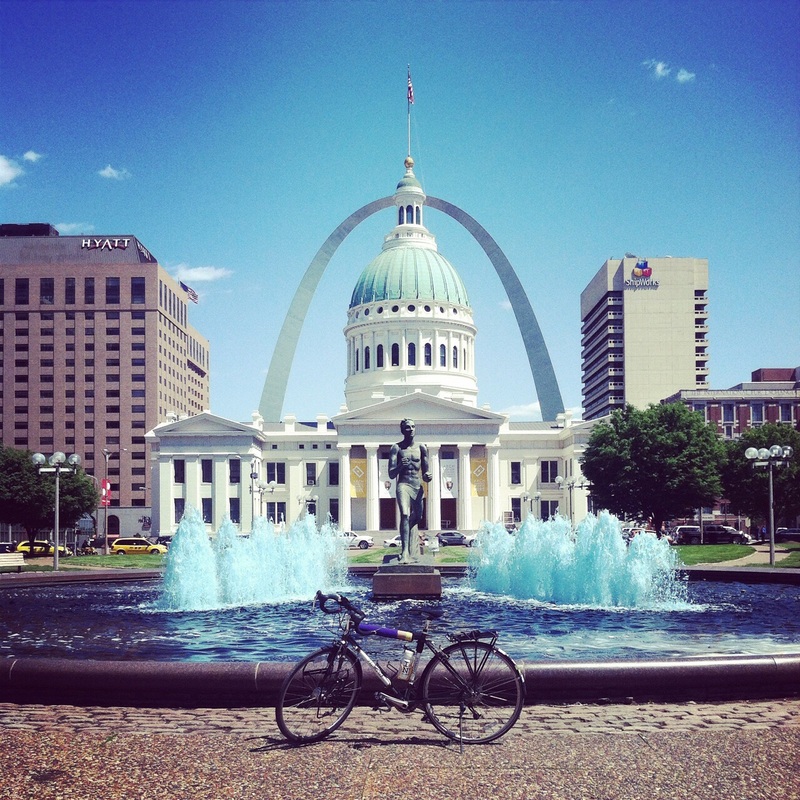 St. Louis was a stark contrast to our trail riding, but we quickly fell in love with the city’s diversity, which was reminiscent of our home town of Brooklyn. 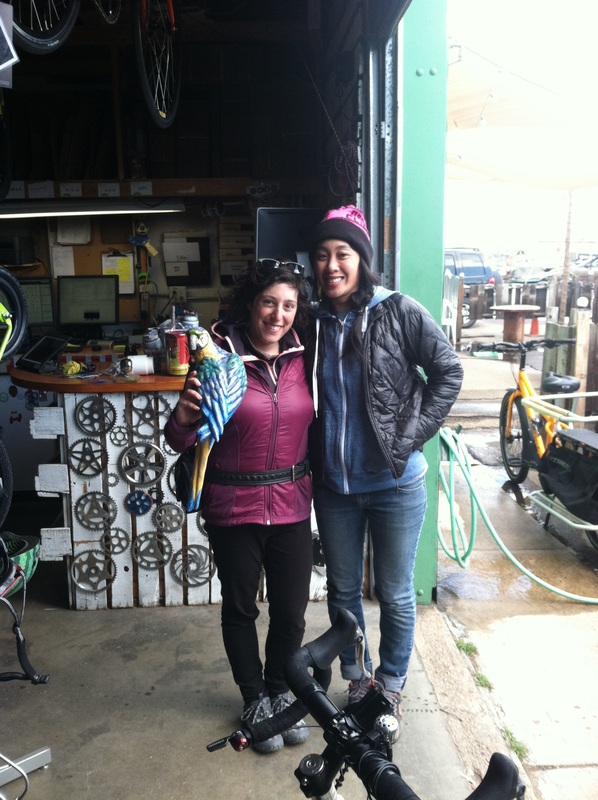 We had a great workshop at the Community Arts and Movement Project, and spent two nights with our inspiring friend and fellow bike touring enthusiast Amy Fleming! We traded travel stories and stayed up all night working on a jigsaw puzzle before riding out to the city bus station at 3am to catch a Greyhound bus to Lexington, KY. Ruby miscalculated the mileage and we were going to have to cut out about 300 miles to get to our next workshop in time! We arrived in Lexington on the day of the Kentucky Derby. Our gracious host Bill offered to drive us 50 miles the next day just so we could attend his Derby party. How could we say no?! The race was only two minutes long, but we enjoyed the company and the city of Lexington, and got to drink authentic mint juleps out of silver cups. 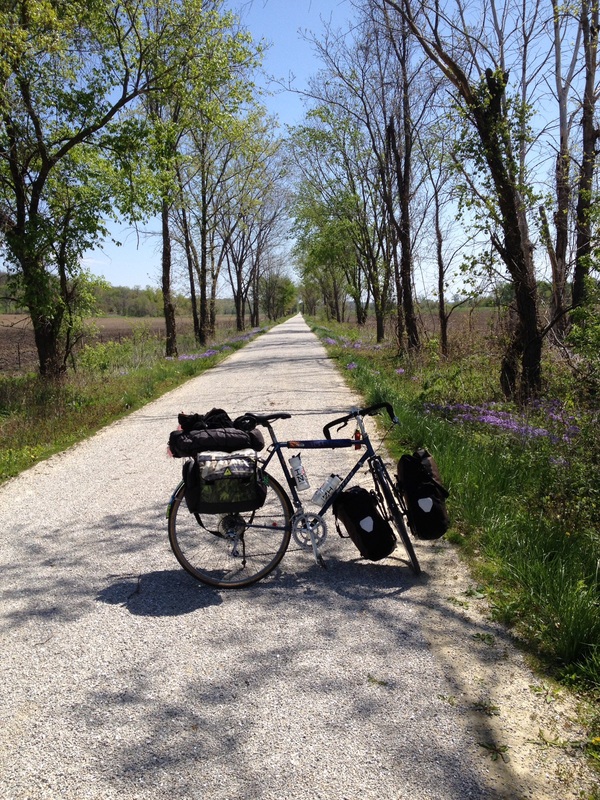 Next we went Stanton Kentucky where we met Joe Bowen, a man who walked across America on stilts in 1980, and who has done TWO 14,000 mile American bike tours. Joe was inspirational, and told us how important it is to follow your dreams. 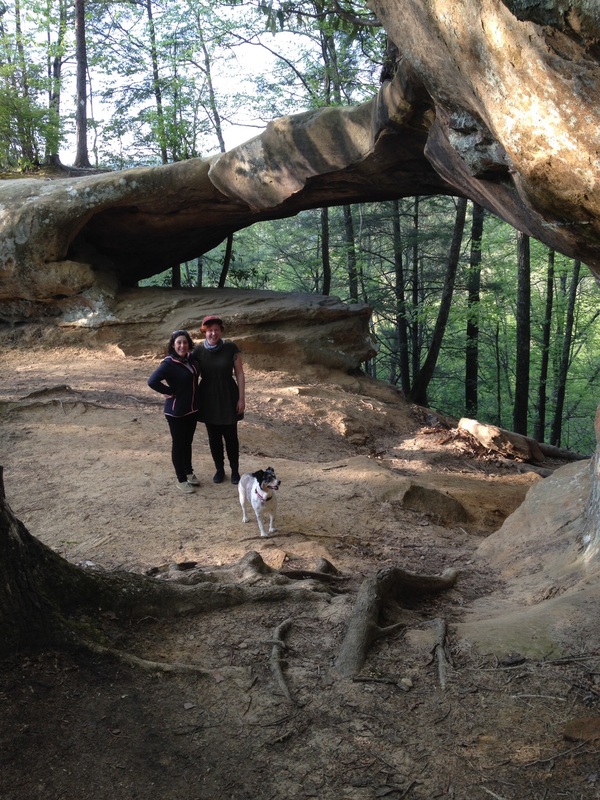 He also took us on a tour of Kentucky’s natural arches along the Red River Gorge. 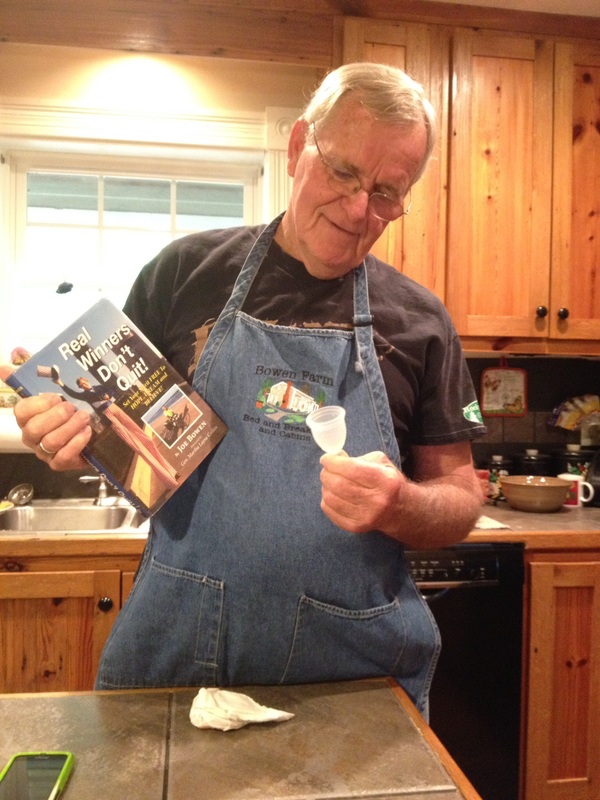 Joe was intrigued by our project, and requested a menstrual cup so that he may share the idea with fellow travelers as they come through his bed and breakfast. “This is incredible!” exclaimed Joe as he got a close up look at a Rubycup! We were sad to head east into the mountains and leave our new friends, but the Appalachians offered us lush green vistas despite excruciating climbs. Since many of these roads were built before grade regulations, we often had to get off and walk/push our bikes up the steep, winding roads. 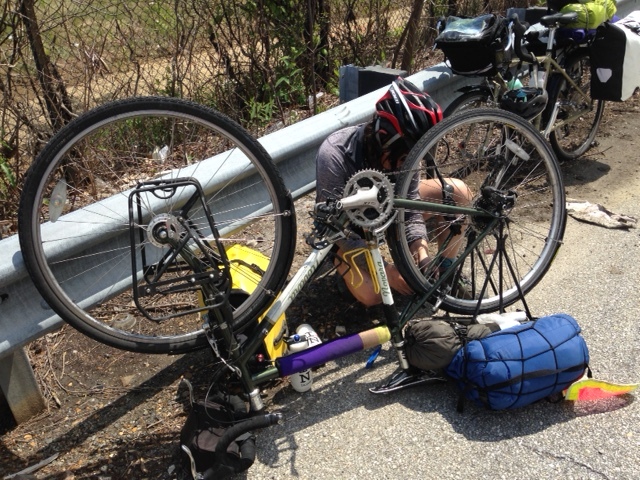 Our mountain riding was cut short by a busted axle and wobbly wheel just after we crossed into Virginia. 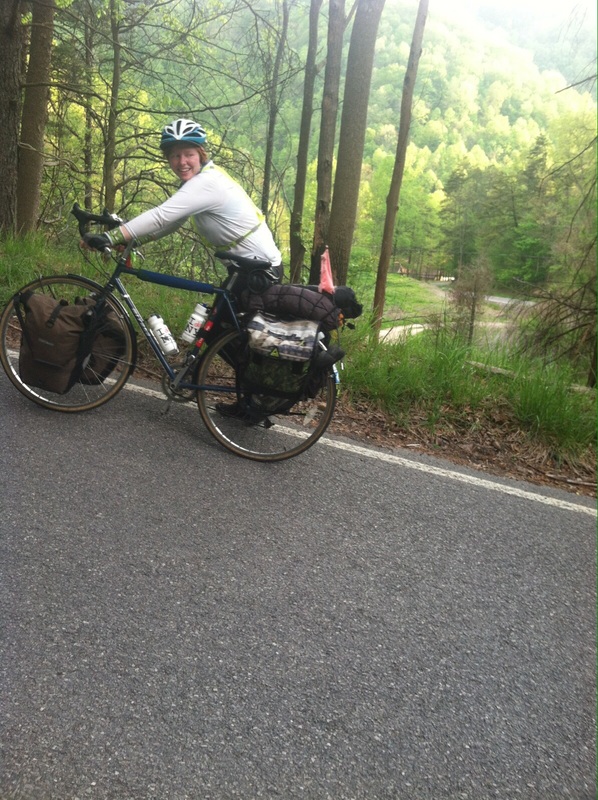 Feeling unsafe on the steep mountain passes, we were miraculously able to get 3 separate rides over 100 miles to the closest bike shop in Abingdon, VA.
We are very excited for our event tomorrow! Phew! We were so relieved to be out of Florida, we did a little happy dance under the sign! We thought it might never happen but…we made it out of Florida! 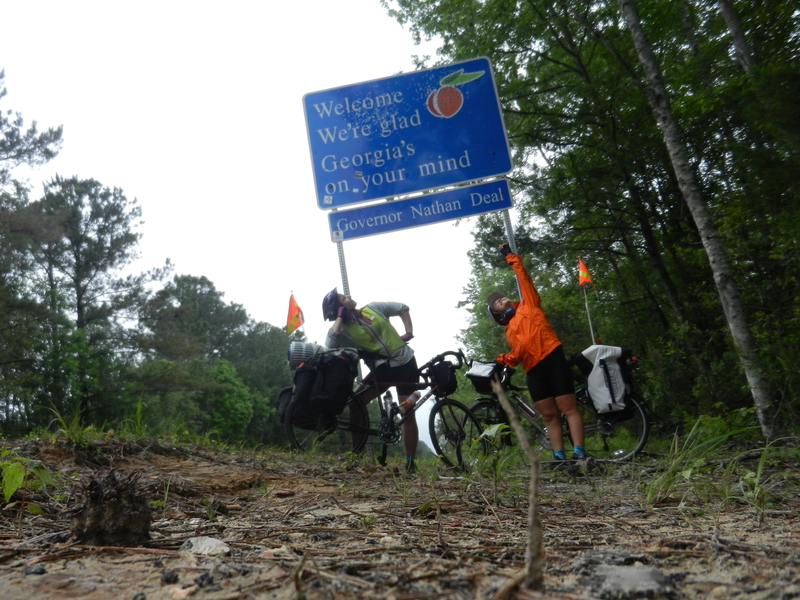 We crossed the Florida/Georgia border on Thursday, which also marked week two of our excursion! We arrived in Savannah, GA, this morning, where there was an Earth Day Festival happening in Forsythe Park, downtown. Lots of organic veggies and sustainably minded people! Before leaving Florida, however, we had several notable experiences. 1. Don’t be shark bait. Cindy, our host in Sebastian, has spent most of her life on the water as a diver, surfer, kayaking guide, and more. Not only do tampons have to be changed more often, requiring a schlep back to the mainland, or get soggy and fall out, or put you at risk of having an embarrassing string hanging out of your bathing suit… if they leak, your blood could literally make you shark bait! Solution? Use a cup! No leakage, less changing, fewer sharks. 2. Touring the world? 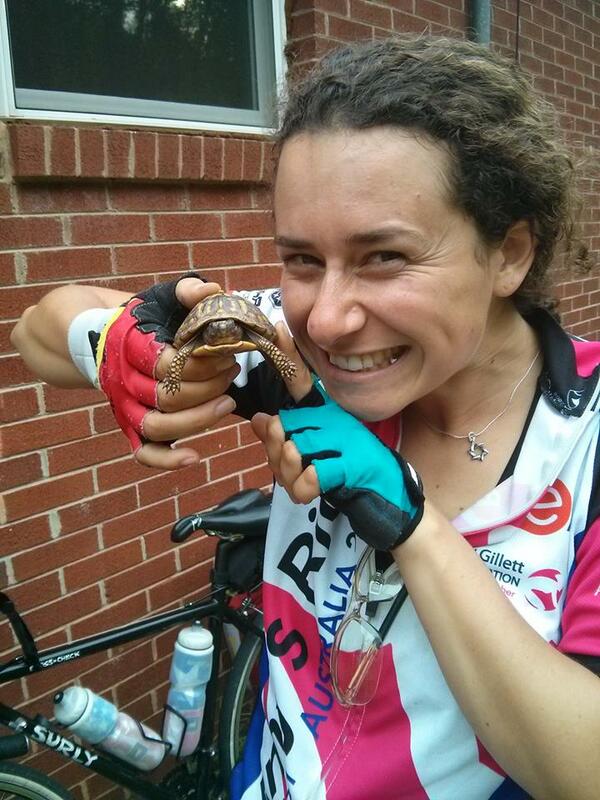 Jocelyn (read about her below) has spent years biking all over the world. Pads are definitely a no-no with bike shorts we when you’re in the saddle all day, and tampons can be hard to come by in distant lands. This applies to anyone traveling around the world, of course. Instead of packing a giant ziploc full of supplies – just bring your reusable and you’re good to go! 3. There aren’t drugstores on Marine ships. We met a woman who used to be in the Marine Corps and told us that female Corps members often have to pay super inflated prices to get supplies, or end up resorting to less hygienic ways of coping when out at sea. 4. Have 4 daughters? Disposables are expensive! Having 5 women in the house could easily mean spending $30/month on supplies. That’s $360 every year. 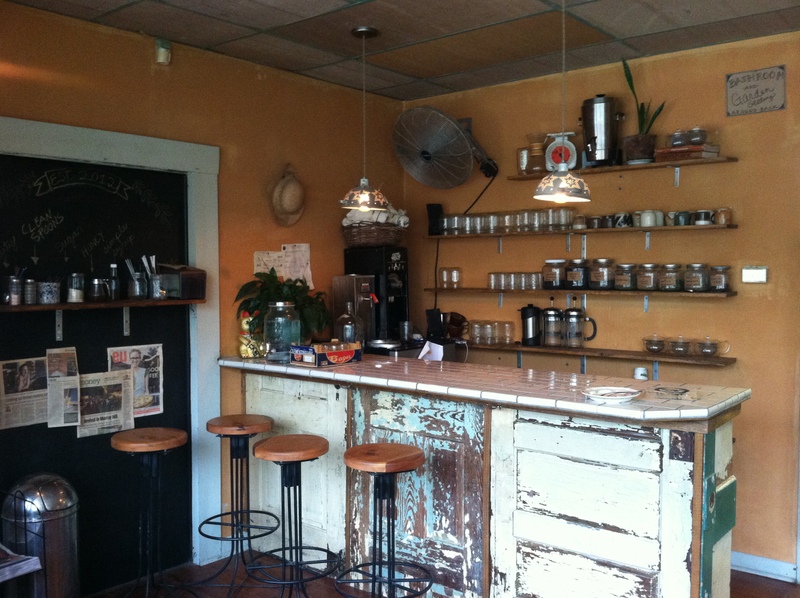 Instead, you could buy 5 cups for $200 and spend nothing for the next ten years. 5. SFMS (Summer Festival Menstrual Synchrony). Several women have told us that in their younger days they would go to a music festival and all of the women would start getting their cycle at the same time. All of a sudden your period would have come 2 weeks early and everyone else would be getting their cycles too, and supplies would run out quick! Solution? Bring your reusable, Duh! Ok. Now back to the story. A woman who came to our workshop in Miami set us up with her friend Cindy, a wonderful hostess and adventurer who we stayed with in Sebastian, FL. 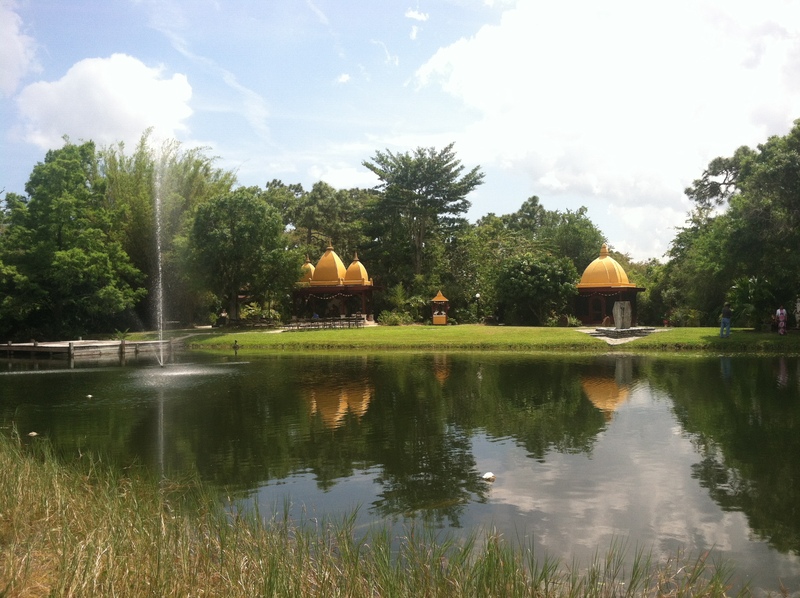 She not only let us swim in her pool and made us french toast for breakfast, but she also led us to the Kashi Ashram in Sebastian, FL, a magical spiritual place with a series of shrines devoted to teachers from many religious traditions. There we were welcomed with open arms and a great deal of interest in our mission. We left feeling refreshed and inspired! 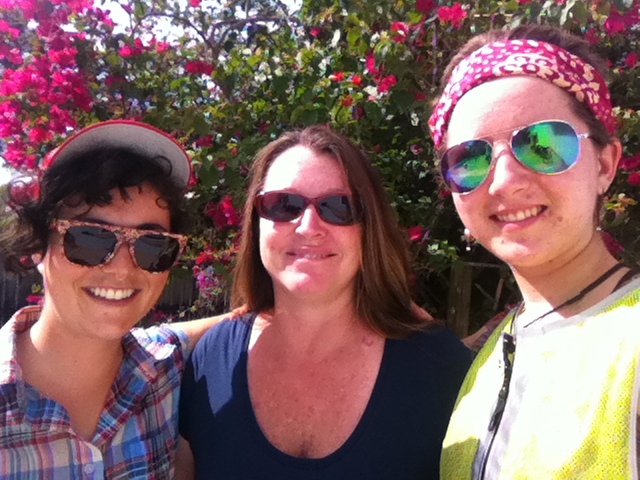 In Cape Canaveral we met Jocelyn, a touring cyclist who – at our age – has gone on several tours of the US and also biked from Morocco to Thailand! 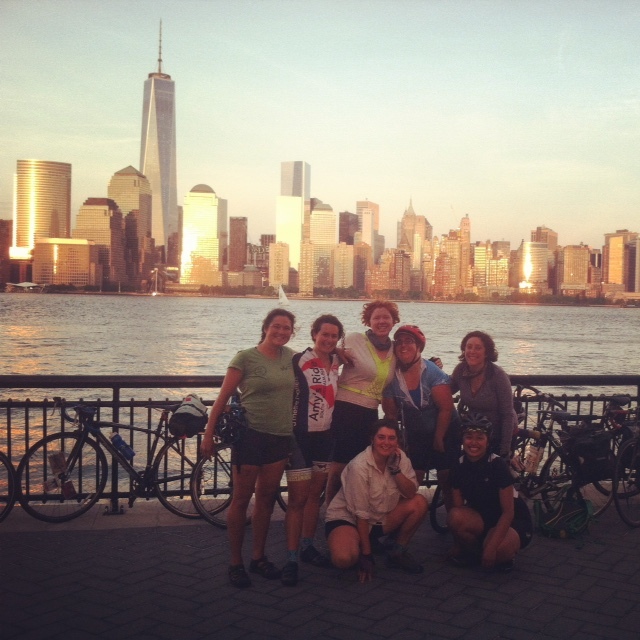 Her story (as well as those of many other adventurous women we’ve encountered) was extremely inspiring! We wish her the best of luck in her ongoing adventures. 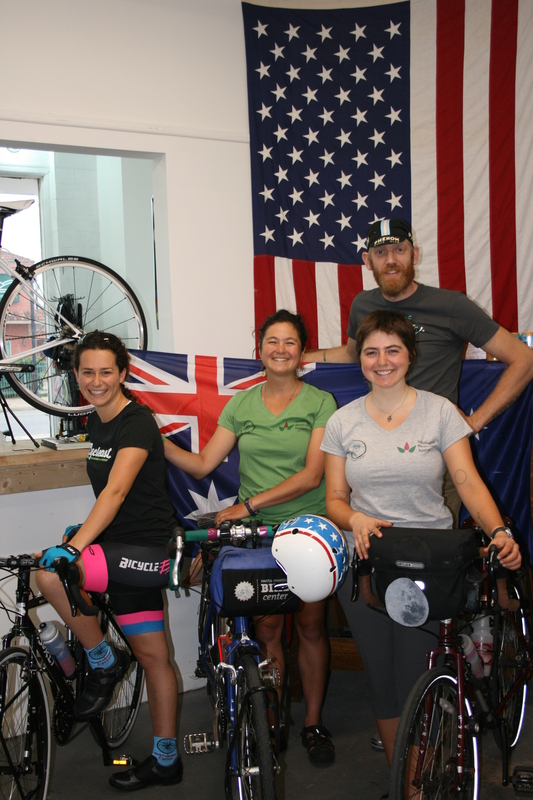 She and her family leave next month to bike from Washington to Argentina. We talked about menstrual cups, which she had heard of recently on a women’s cycling group on facebook, and how useful they would be for traveling and surfing. We left her with a ruby cup to take with her on her next trip! 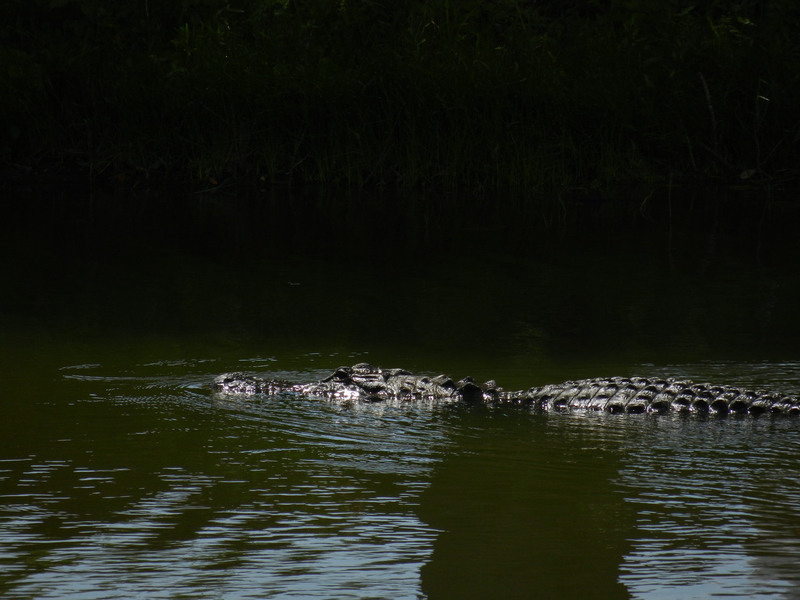 We spotted our first alligators in the swamps along the NASA Astronaut museum outside Cape Canaveral – so cool! 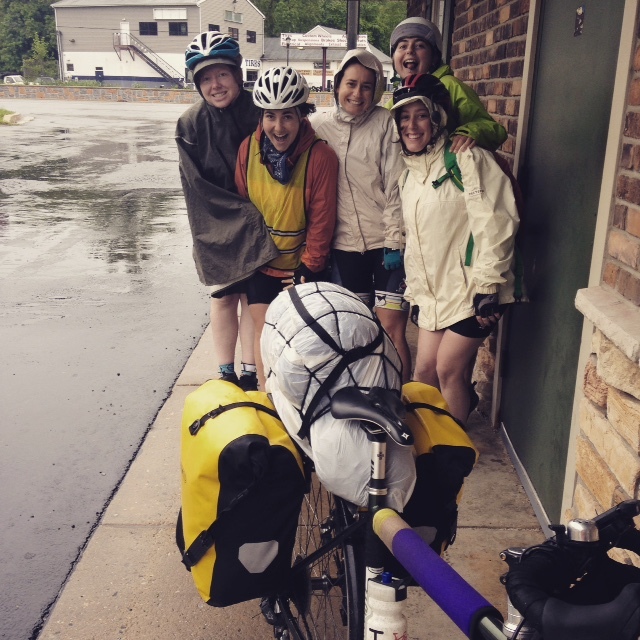 That same day we rode 80 miles (through the rain, nonetheless! 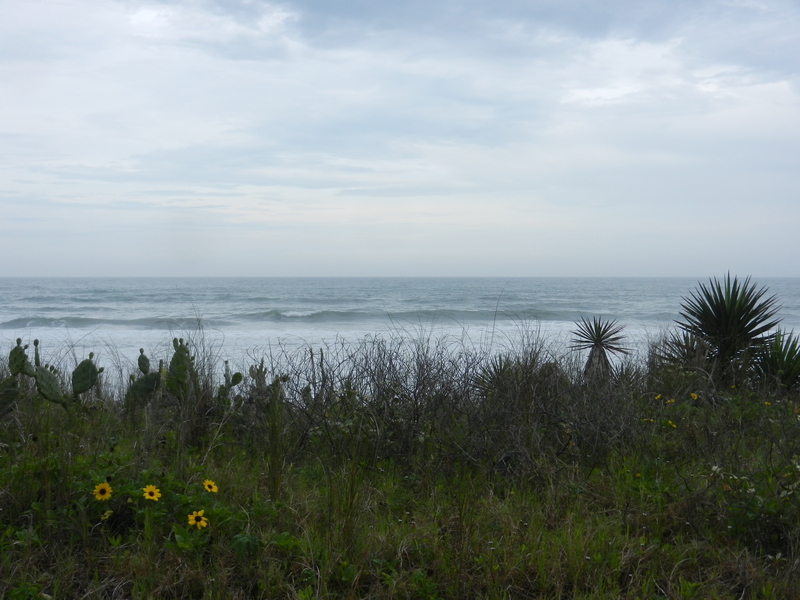 ), our longest day yet, to get to Ormond Beach, just north of Daytona. Thanks Graham, of Bath Salt Zombies for the hospitality! 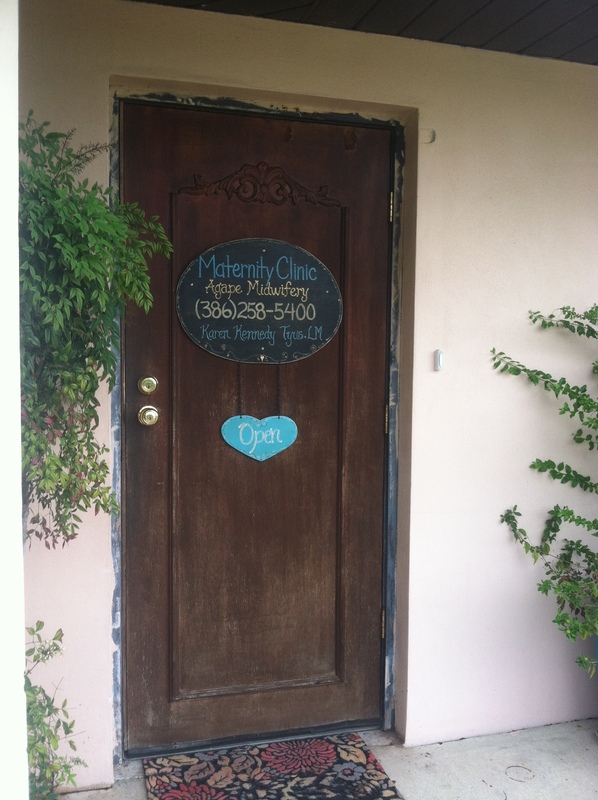 We held an impromptu information session at the Agape Birth Center in Daytona Beach, where we talked about menstrual cups and pads with some of the midwives and expecting mothers. On Tuesday the 14th we finally reached Jacksonville, where we held a workshop for 70 girls, ages 12-17, at the PACE center. 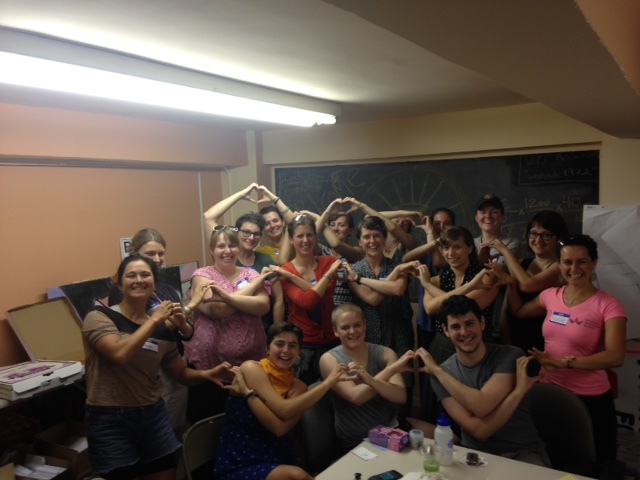 The girls split into two groups and Rachel talked to one group about the benefits of reusables while Heather led body-positive discussion and writing exercises with the other, and then the girls switched. While this was a mature and surprising topic, the girls were awesome and asked lots of great questions. Many of them were excited to try a cup or a reusable pad, and were also curious to hear about our bike trip. Maybe some of them will be interested in taking a trip in a few years! We also had the pleasure of staying with our friend Sarah in Jacksonville, who started a lovely bakery called Community Loaves. 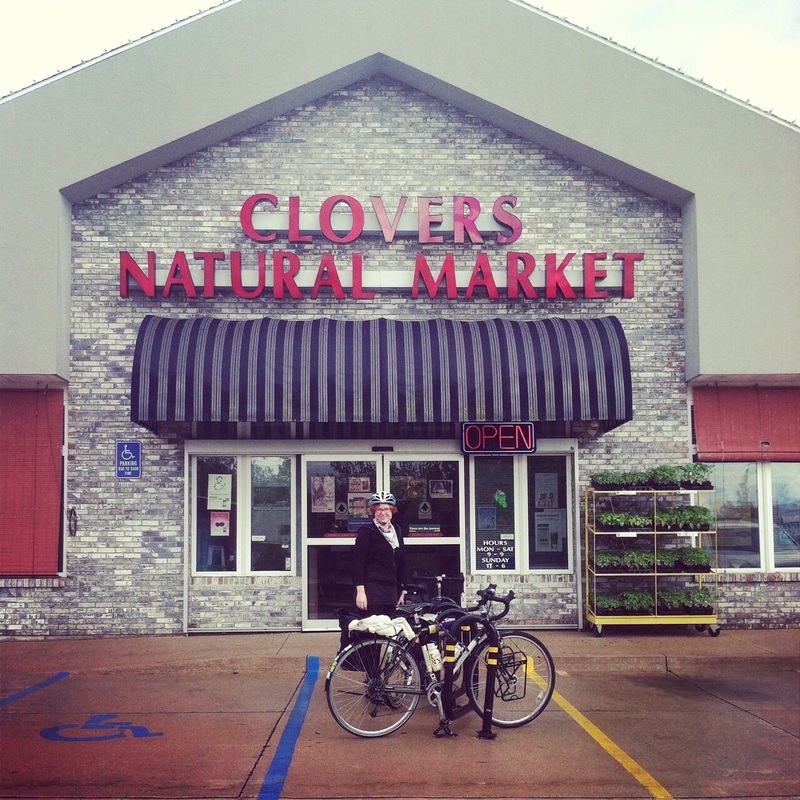 They make delicious sourdough bread and serve as a center for local food and community connection. We also made a pit stop for some brake adjustments at Zen Cog in Jacksonville and appreciated the continuing support and enthusiasm from the bicycling community. 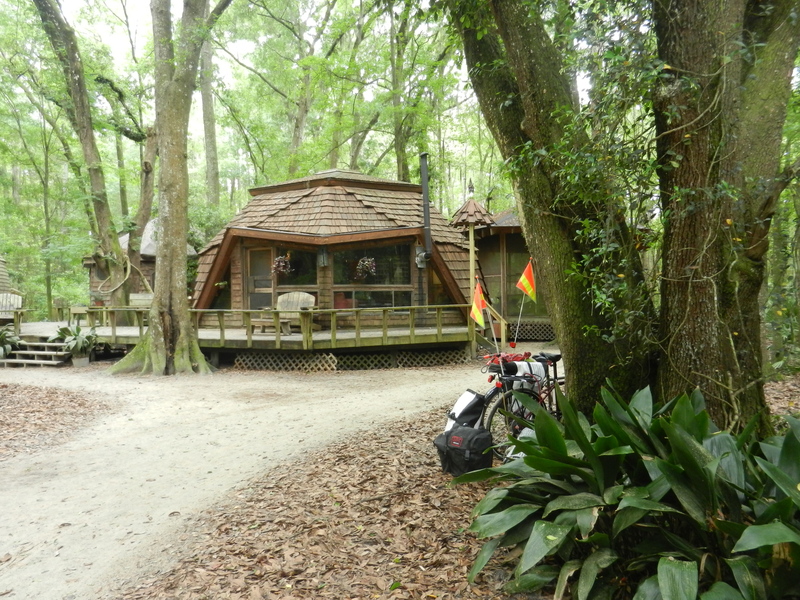 Our friends in Jacksonville directed us to the Hostel in the Forest just outside of Brunswick, GA. 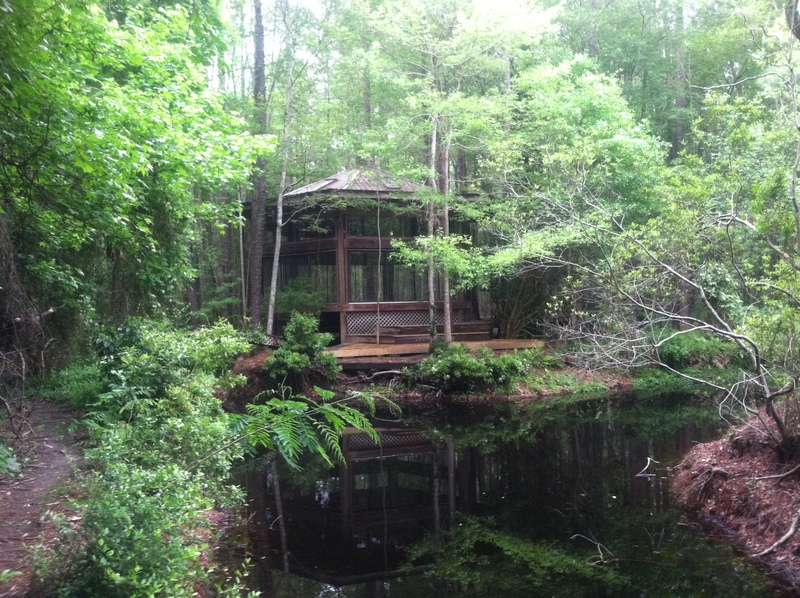 So we spent our first night in Georgia sleeping peacefully in a tree house and exploring their beautiful grounds, which include an outdoor tub, geodesic domes, and a two story glass house! We’ve been lucky to be surrounded by trees–pines and live oaks adorned with Spanish moss, during most of our time in Georgia. There are many other stories to tell… camping on the beach, watching the sun come up over the ocean, meeting all kinds of people, being on the receiving end of incredible generosity and hospitality, visiting the Smallest Church in America… but they’ll just have to wait and be told over a campfire next time we see you! 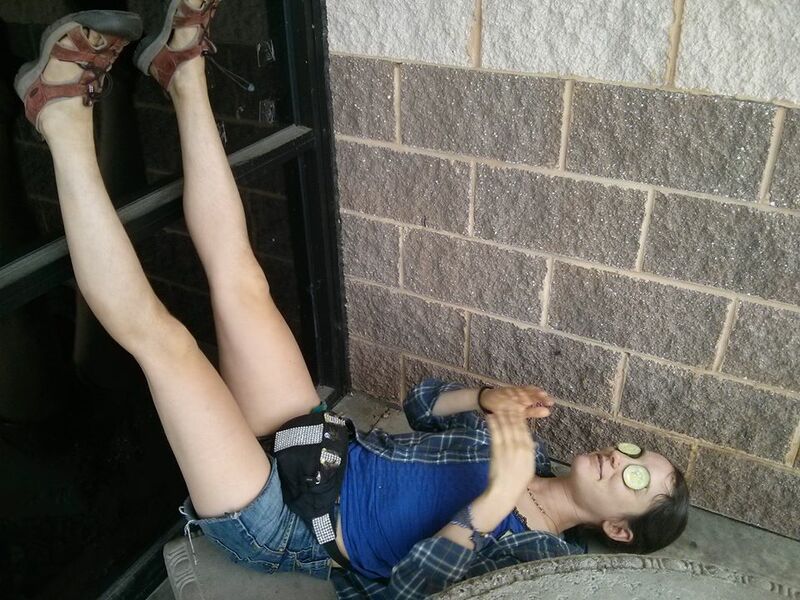 Update from the Southern Tier: G’day Y’all! Rosie flew in from Australia to join Rachel and Olive in Austin, TX. Thanks, Cycleast bike shop for the awesome goods and services! Thank you, Yellow Bike for the wrenching time. 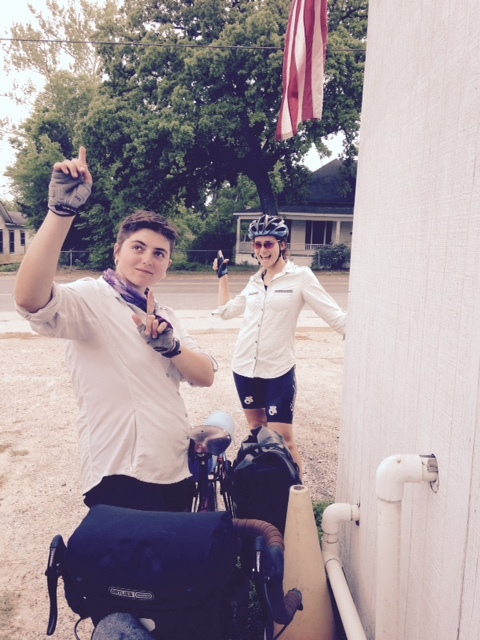 Thank you Savanna and Doug for the home, haircut, and best-of-Austin bike routes. Austin, so good. 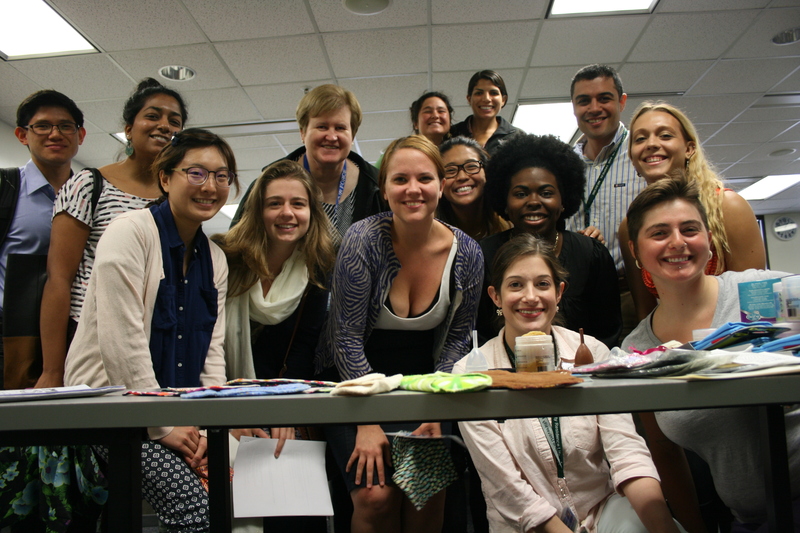 Our workshop at the University of Texas, Austin was very successful. 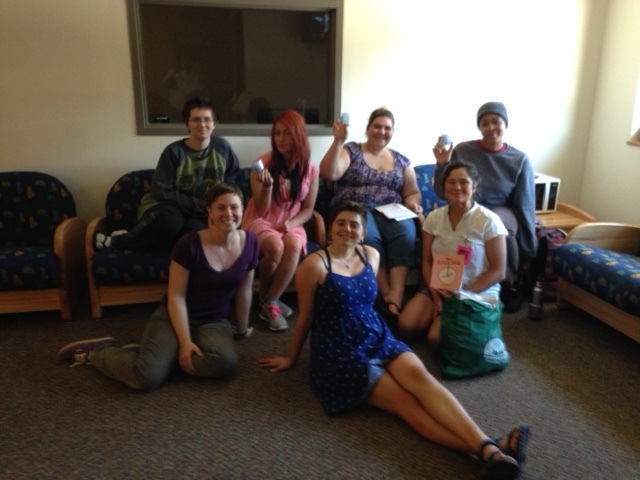 Thanks to the Gender and Sexuality Center for the space, snacks, and enthusiasm for reusable menstrual products. We look forward to collaborating in the future and getting updates on your new menstrual wares. The Texas wildflowers made for a stunning ride out of Austin. 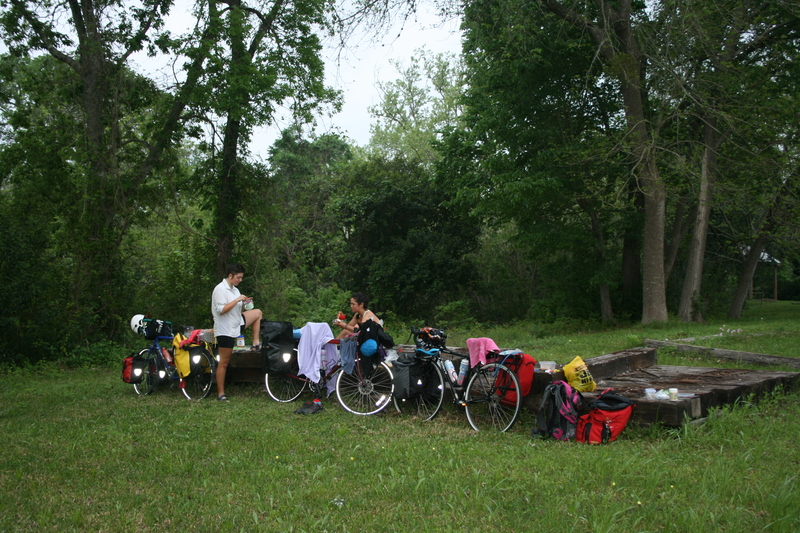 We biked 70 miles to Smithville where we stayed with a kind stranger; the head of the local chamber of commerce had a trailer in her backyard—deluxe! This is Rosie’s first bike tour, and she’s keeping up well. 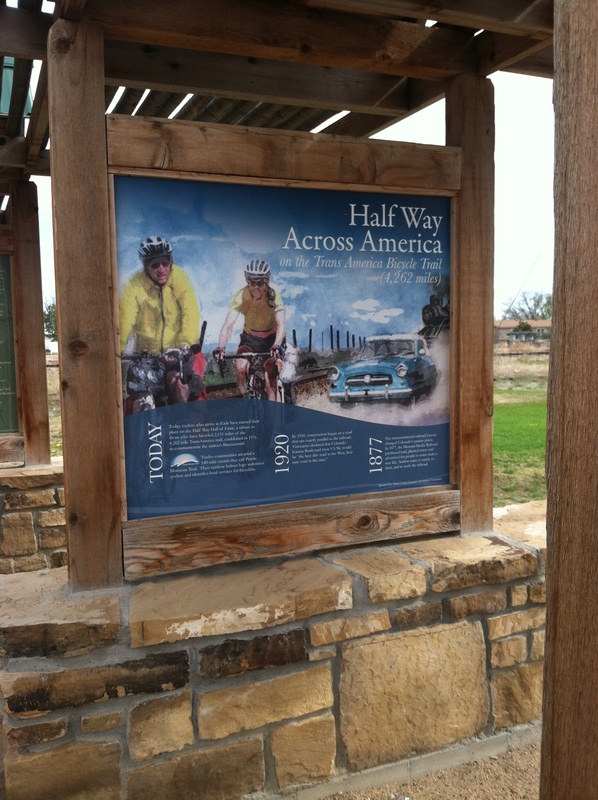 There has been some rain and rough road conditions, but we continue to bike 60-something miles a day. 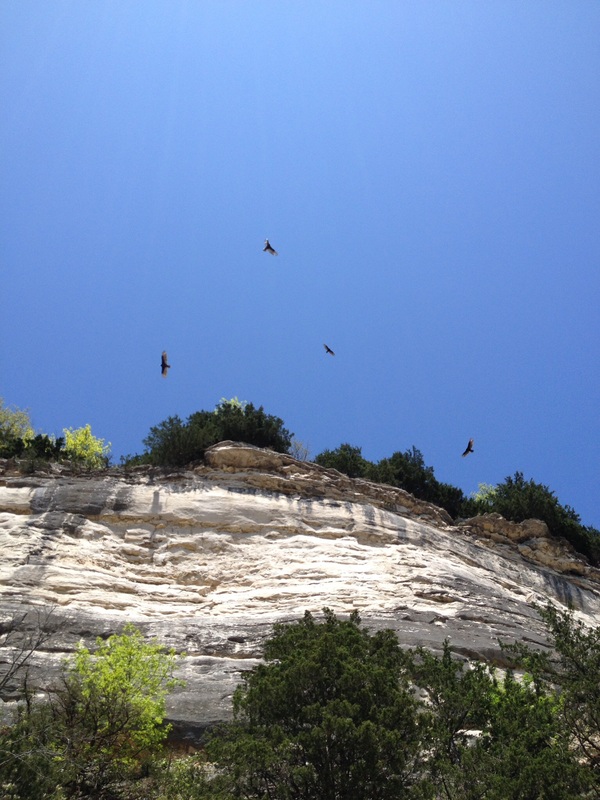 Texas is full of surprises! We found Shepherd’s Sanctuary – a true respite run by a wonderful couple, Connie and Peach. They have created a small paradise in Shepherd, TX–a fully stocked kitchen, an awesome shower, and a loft bed under a giant metal roof. Rachel made a routing error and realized we wouldn’t make it to New Orleans in time for our scheduled workshops at Tulane University. We had to change our route, ride to Beaumont, and try our luck catching a ride on I-10. We were lucky. We met Joe, an extremely generous local who spontaneously decided to drive us the remaining 260 miles to Nola. On our first day in New Orleans we were very fortunate (again), as the rain eased up and we were able to ride to our workshops without getting wet. 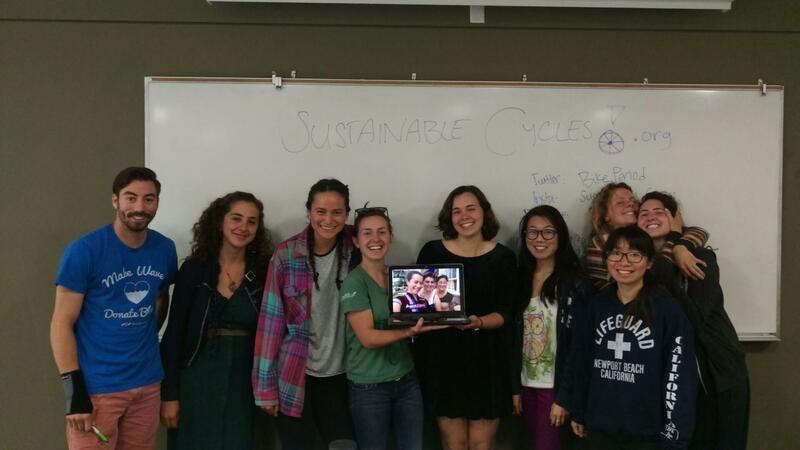 We gave two workshops, first at the Tulane University School of Public Health and Tropical Medicine and second at the undergraduate campus. We had fascinating discussions about reusable menstrual products and insights into the culture around menstruation in New Orleans. Many of the people we spoke with had no idea how to locate their cervixes. People, we need better reproductive education ASAP! We like to facilitate space to share important knowledge about menstruation options and body-positive familiarity, but this is education that should be institutionalized. We will now head north as we make our way to Boston. We are excited about the Society for Menstrual Cycle Research Conference (June 4-6). You can still register. Time is flying! Also, Rosie just had an awesome article on menstruation and the 21st century published in the Royal Institution of Australia: Australia’s Science Channel blog. We have had a great few weeks through colorful Colorado and into Kansas. The Colorado landscape was the most beautiful we’ve seen so far, and we were even more excited to be finished with the Rocky Mountains. 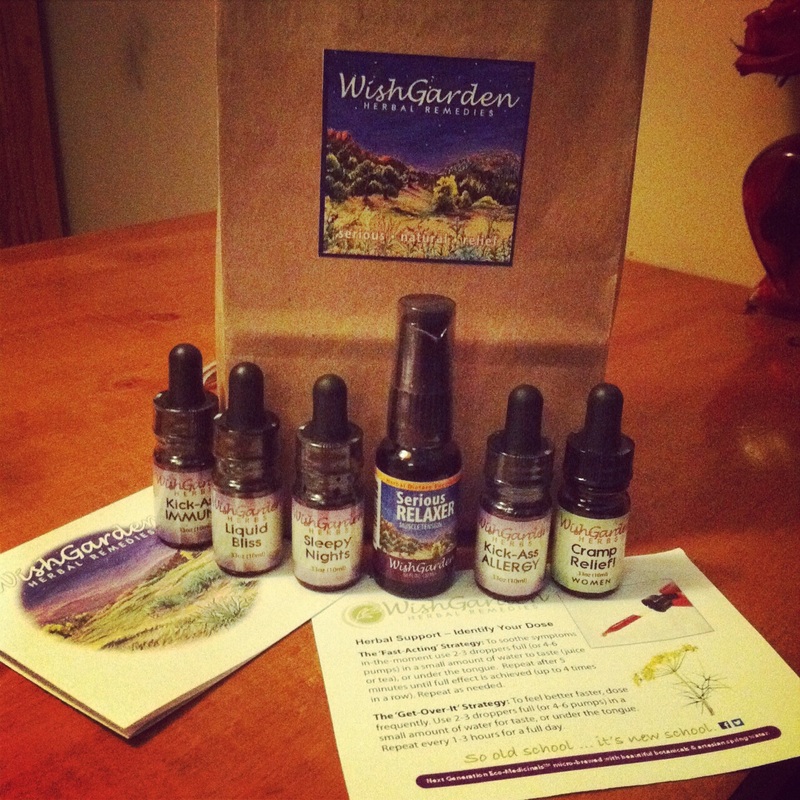 We had a safe journey into Boulder where we stayed with Ruby’s cousin and were greeted by our sponsors at Green Guru. Jezryl from Green Guru showed us around town, invited us to a bike party with free food and beer, and even gave Ruby a tour of the Green Guru studio/shop and a well-needed bike bath! Our event at Community Cycles was equally successful, bringing in about a dozen passionate participants. Next we rolled southeast towards Denver. 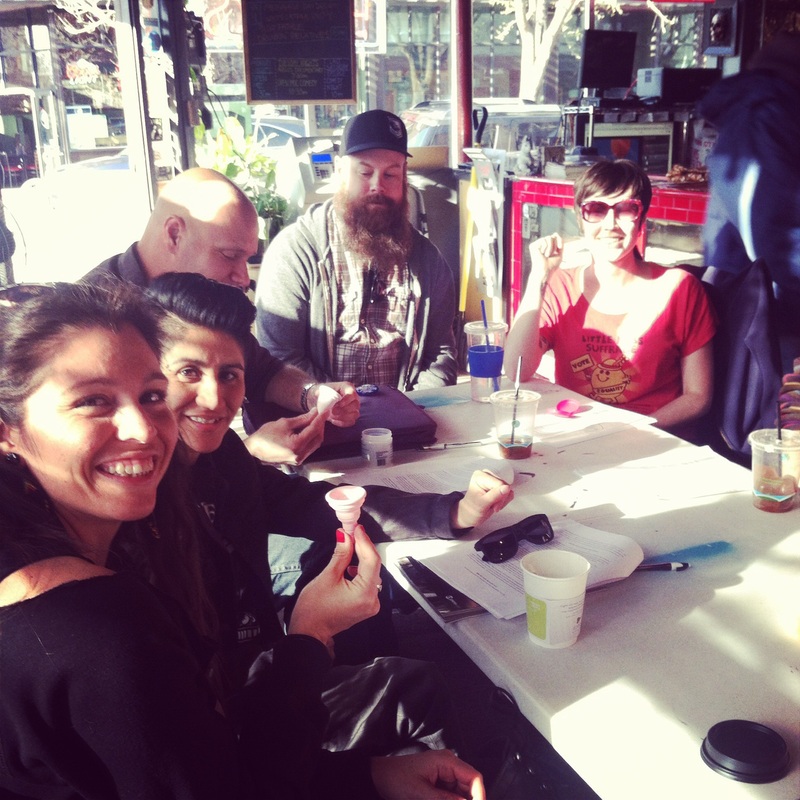 We visited with some old friends and family, and made new friends at our workshop at the Mutiny Info Cafe. We had a large, diverse turnout of people, many of whom shared their own expert knowledge. 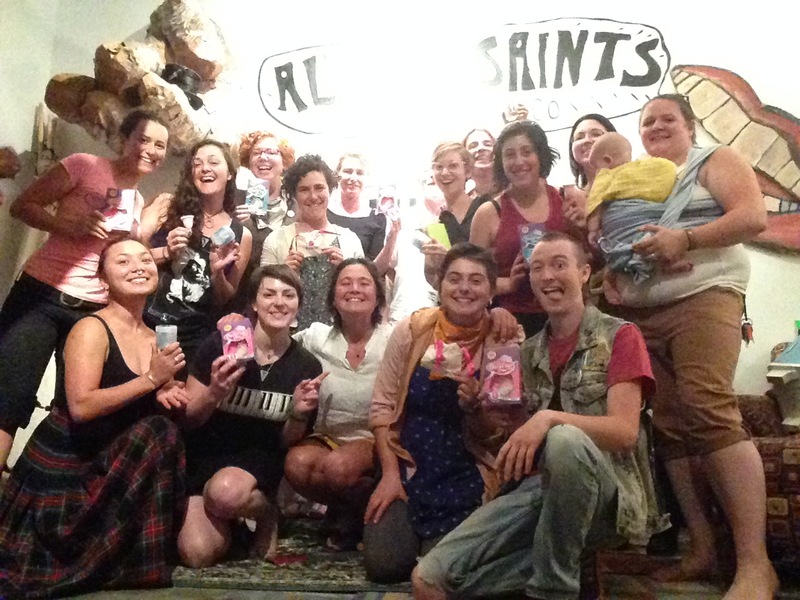 We were especially happy to meet Jen Lewis, a talented menstrual artist who is also involved with the SMCR (http://www.beautyinblood.com). 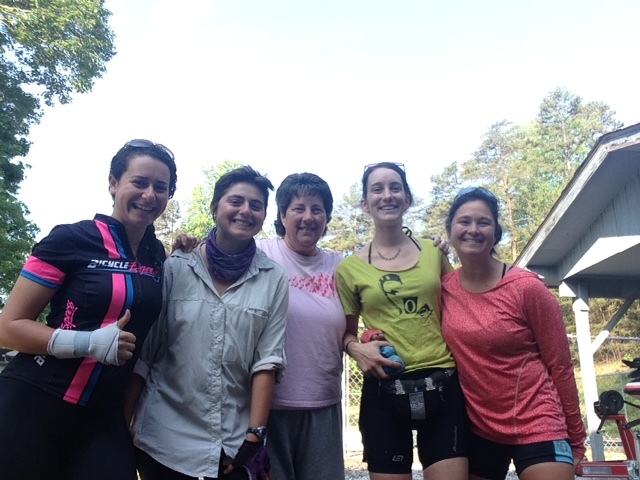 As we headed south into strong winds, we stayed with some inspirational and hospitable female cyclists, includinga retired naval officer, a passionate dietician, and a mother of two who is planning her own cross country bike tour! It has been almost a week since we left Key West and set out on this trek. A first for both of us, we had no idea what to expect from our first cycling tour, and it has certainly not been free of challenges. However, since we started biking last Thursday, our lives have been full of surprises and blessings, often in the form of unexpected kindness and words of wisdom—usually from absolute strangers. 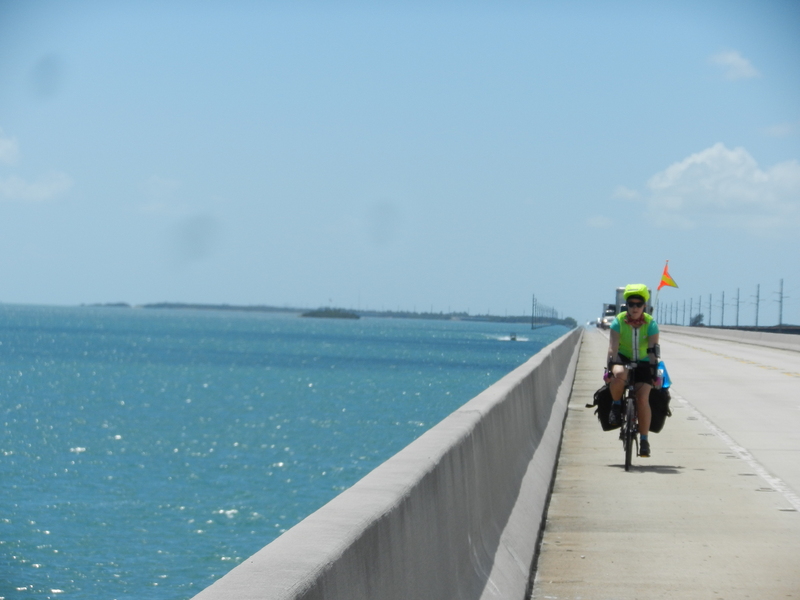 The ride from Key West to Key Largo was gorgeous, often with nothing between us and the glittering aquamarine sea than a few inches of steel and concrete. The islands which curve out to the west of Miami are connected by a series of bridges—some of them quite long. The Seven Mile Bridge, for instance, is exactly what it sounds like—an excruciatingly long bridge that connects Knight’s Key with Little Duck Key. The view from the bridge is beautiful, but cyclists best beware that it does not distract them from the whizz of passing traffic. On Saturday, we felt energized, and inspired to bike the 45 miles to Key Largo—the final island, and our furthest distance yet. (Since it was snowing in New England until the day we left, neither of us had done much training for this trip.) We ended up in the middle of the island with an hour before sunset and no place to stay for the night. We had heard encouraging stories from other travelers about knocking on strangers’ doors and asking to camp in their back yard for the night. So we did just that—picking a house with a car that had an Oregon license plate (not that we prefer Oregonians over Floridians, per se…the jury’s still out on that one). “Well, come on in.” We were lucky. Rebecca, the woman who opened the door, did more than offer us a yard to camp in—she invited us in for dinner and a place to stay in her house. Her sister, Carolyn, was visiting, and the four of us whiled away the evening talking about bicycling (Rebecca, as it turns out, is a triathlete) and women’s health (Carolyn, a Nurse Practitioner, gave us some excellent advice on bicycling hygiene!). We left feeling inspired by the generosity and strength of these women, and appreciating the grassroots, person-to-person way that so much important information gets spread. On Sunday we headed onto the mainland and into Homestead, FL, where we were staying with Gabriele at Paradise Farms. We were about three miles away, cruising down the bike path, when Heather ran over a glass shard and SPLAT—our first flat tire, in a less-than-ideal location. We changed the tube and had some help with the pump from a bus stop patron. These kinds of experiences—meeting kindness in unexpected places—have become more and more frequent. When we finally did arrive at Paradise Farms, it turned out to be everything we could have imagined. 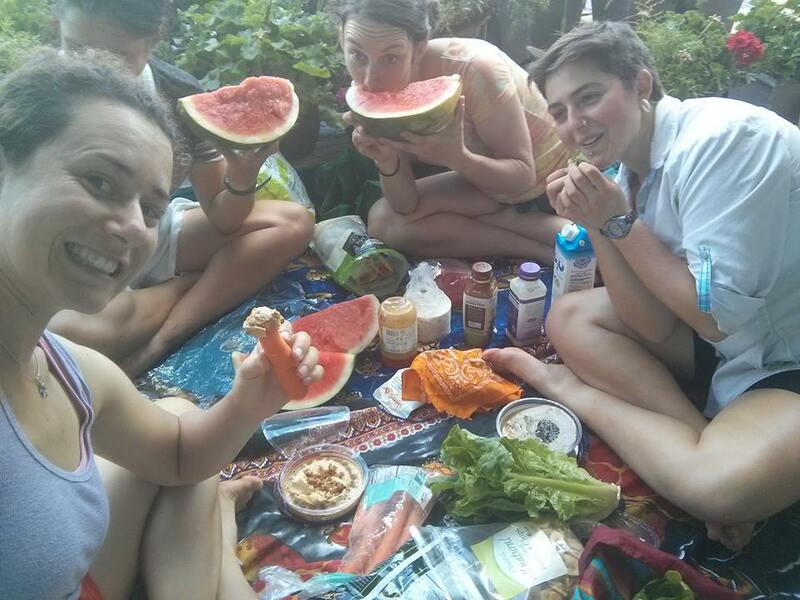 We walked our bikes down an avenue of fruit trees and into the main grounds: a grand pavilion with a colorful outdoor kitchen, a mandala garden, composting toilet, and coals smoldering in the fire circle from a sweat lodge the previous evening. Our hosts were Ernest—the farm’s B&B coordinator who found his way to the farm during the course of seven years of biking around the world—and Gabriele, the farm’s owner, who shared with us her own stories of walking and biking through Europe. We have been struck by how many fellow travelers we’ve met, sometimes in the most unexpected of places, and also by how many strong, vibrant women we are meeting who encourage and inspire us. We also receive lots of warnings to be careful as well as offers of theoretical help, should something come up. While the sentiment is perhaps well-intentioned, it is also frustrating, as it is based on and reinforces the idea that we (as young women) should be fearful and dependent on others. Does this serve to keep women trapped in this role? Does it function as a self-fulfilling prophecy? We held our first workshop on menstruation and sustainable menstrual products in Miami on Monday, at the home of Deanna Alvarez, a birth coach and community leader. We had a deep and dynamic conversation with the group (which included some younger members around ages 3-16) about our history with and feelings surrounding menstruation, and how to bring up children with knowledge about, respect for, and appreciation of women’s cycles. Then we had a lively discussion on the benefits of reusable menstrual products (picture menstrual cups flying and colorful cloth pads being shown off). Some women were inspired to start using cups, others to try them again, and others to bring them home to their daughters and nieces. There was an intergenerational strength to the group which made for meaningful discussion and a realization that we’re working for change on a grand scale. We are working to break the cycles of shame, toxic products, and ‘disposable’ culture for generations to come. Last night we stayed with Ilene and Brad, Warm Showers hosts and world travelers just north of Fort Lauderdale. Ilene does Iron Mans and other triathlons – another inspiring female athlete. Tonight we write to you from Shauna’s beautiful house in Lake Worth, where we have settled for the evening. More to come.